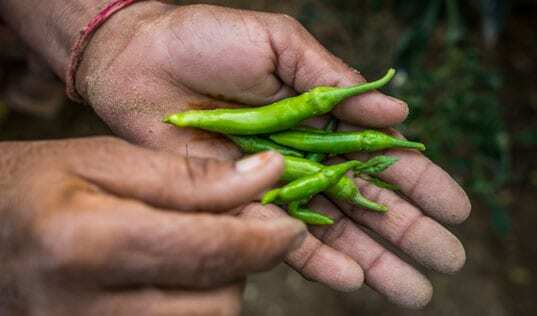 As farmers from South Asia to East Africa to Latin America can attest, there is a lot of know-how and hard work behind those sweet and juicy fruits. Packed with vitamins, antioxidants and fiber, the mango is known for its health benefits. But before it ever reaches your shopping cart, what does it take to grow, store and transport a healthy mango? 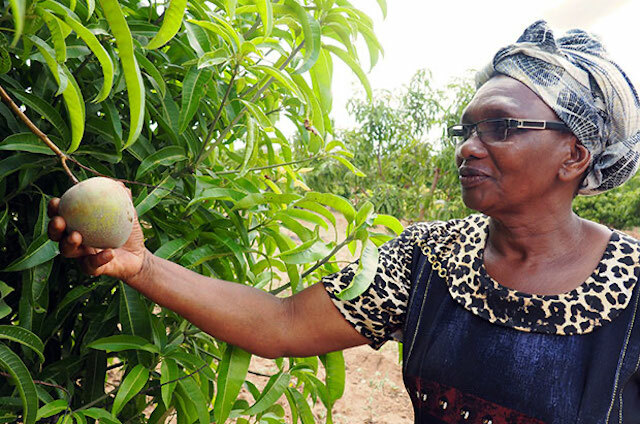 Farmers like Annaziatta Masiku, who depend on mangoes for income, often struggle to grow healthy, high-quality fruit in the face of pests, disease and severe weather conditions. Even after harvesting, they can lose a significant share to spoilage due to improper storage or a lack of reliable buyers. Annaziatta, who goes by "Anna," started farming in 1971 in Makueni, Kenya, soon after getting married. She and her husband grew beans, pigeon peas, cowpeas and papaya on their 8 acres of land. But Anna didn't start mango farming until early 2006, when she planted 50 mango trees. As a new mango farmer, Anna lacked knowledge on mango best practices to keep her trees healthy and producing high yields. While Anna was aware of the importance of pruning, she often used a machete to trim her mango trees’ branches. In addition, she lacked key information on fertilizers and pesticides that would reduce post-harvest losses. "After pruning, I didn't know how to dispose of the waste so I would leave it on the ground which resulted in a buildup of weevils which would destroy the fruit," she said. Makueni’s arid climate and rural location only added to the challenges, making it difficult for Anna to keep her mango trees hydrated and for her to find a reliable market to sell her mangoes. "Farmers would just sit at their homes and wait for anyone to pass through to buy their mangoes," she said. The lack of market linkages meant that on more than one occasion, Anna’s ripe mangoes were wasted. 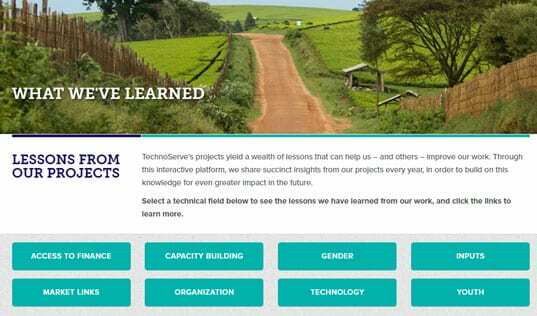 In May of 2016, Anna joined YieldWise, a program funded by the Rockefeller Foundation and implemented by TechnoServe in Kenya, with the aim of training more than 20,000 farmers on post-harvest loss prevention techniques, increasing market demand for mango by linking farmers to new buyers and finance and piloting technologies to improve the storage and shelf life of mango. 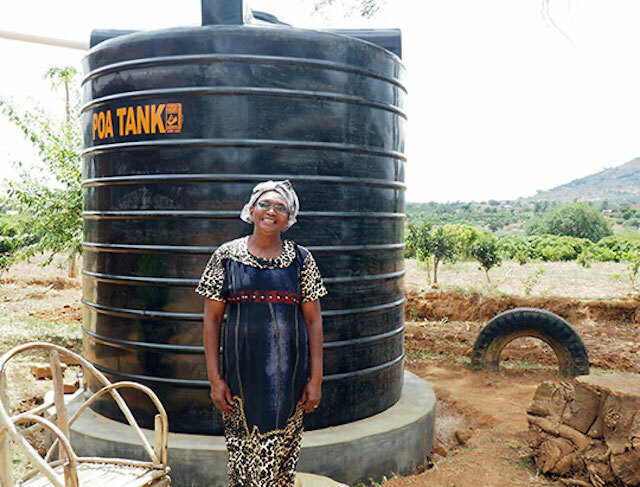 Anna shows off the water storage tank that she purchased using the profits from her mango sales. Through this program, Anna participated in hands-on agronomy trainings that focused on mango best practices as well as received mentoring on business practices from TechnoServe Business Advisors and Community Extension Officers. From the training, Anna learned to extend fertilizer distribution from the base of her mango trees out to the soil stretching as far as the tip of the longest branch. She also built basins around her mango trees to collect water when the rains fall. Since Anna had no previous experience tracking her mango business, Shedrack Makiti, a TechnoServe Extension Service Provider spent several days with Anna, walking her through basic recordkeeping practices. Since participating in the YieldWise program, the fruit fly attacks Anna’s mango trees endured during ripening and harvesting times have subsided due to the introduction of fruit fly traps. "Since accessing the trainings and the right information and learning about pruning and good husbandry, the mangoes have increased. Even the tree canopy is enlarging, so I am expecting even bigger volumes next season," she said. Another YieldWise farmer, Joyce Musya, had such a serious infestation of fruit flies and the fungus red rust, that she was almost ready to give up on mangoes, and cut down her trees to plant oranges. She joined the project as a final attempt to rescue her mango farm, and was impressed by the commitment of the YieldWise team. A TechnoServe Extension Service Provider conducted farm visits and introduced her to various technologies, including fly traps, that helped her triple her mango yield. Critically, YieldWise helps farmers address post-harvest loss, which accounts for as much as 50 percent of Kenya's harvested fruit going to waste. The project has introduced technologies, such as cold storage facilities and solar dryers, that ensure all the hard work farmers like Anna and Joyce put into growing healthy mangoes pays off when they are ready to sell – and that the traders, exporters and processors whom YieldWise links them to are buying fresh, high-quality fruit. Higher quality means higher prices. Whereas Anna initially fetched 5 shillings per mango, she now sells her healthier fruit for 7 or 8 shillings per mango. TechnoServe’s work to establish market linkages between farmers and buyers has resulted in a stable market for her mangoes. "I am now selling most of my mangoes to one buyer. Because of this work, farmers are now talking to buyers freely and it is easier for us to sell our mangoes," Anna said. The average YieldWise farmer previously produced 1.1 metric tons, or roughly 5,000 mangoes. During the last mango season, Anna sold over 7,000 mangoes. With the profits made from her mango sales, Anna has been able to purchase a 10,000-liter water tank, which makes both household chores and the maintenance of her farm more efficient. She also purchased five chickens to add to the growing number of livestock that are grazing around the farm. Finally, Anna used a portion of her mango profits, along with some financial help from her children, to place tiles throughout her home. "I have now realized that mango farming can be a business. It can be a source of income for me to take care of my needs," she said. YieldWise has surpassed its target and trained more than 20,800 farmers to date. Farmers are adopting technologies at increasingly higher rates, and have sold more than 38,000 metric tons of mangoes since the project's inception.